On 20th and 21st November 2018, we will be exhibiting our unique and unrivalled hotel design capabilities at this year’s new Sleep & Eat Event. You will find Roman on Stand B30. This year the Sleep Event has been rebranded and updated to the Sleep & Eat Event, so we are looking forward to seeing what this new and updated event has to offer. It will be the 12th time Roman has exhibited at Sleep and we will be once again presenting our latest collection of products specifically designed to present our extensive manufacturing capability an vast experience in the UK and International Project market. Hinged shower door and side panel with half height in-line panel on to integrated solid surface unit with counter top basin and black chrome fittings throughout. Shower enclosures is installed on to a solid surface anti-slip shower tray. Sleep & Eat provides the annual platform to feature Roman’s full collection of capabilities for the hotel market. Products that Roman will have on show include bespoke showering solutions; digital printing on glass; and specialist Corian fabrication and Solid Surface moulding in different colours across the bathroom. 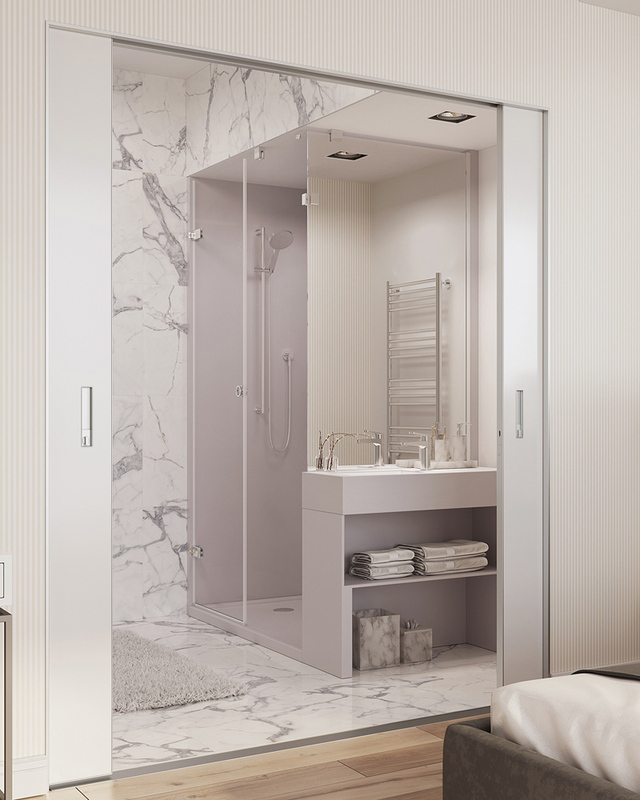 Hinged shower door with in-line panel and mirrored side panel with chrome fittings, integrated solid surface basin unit and solid surface tray in grey. Our stand will feature different room sets with three different metal finishes on the shower enclosures including chrome, matt black and polished brass. 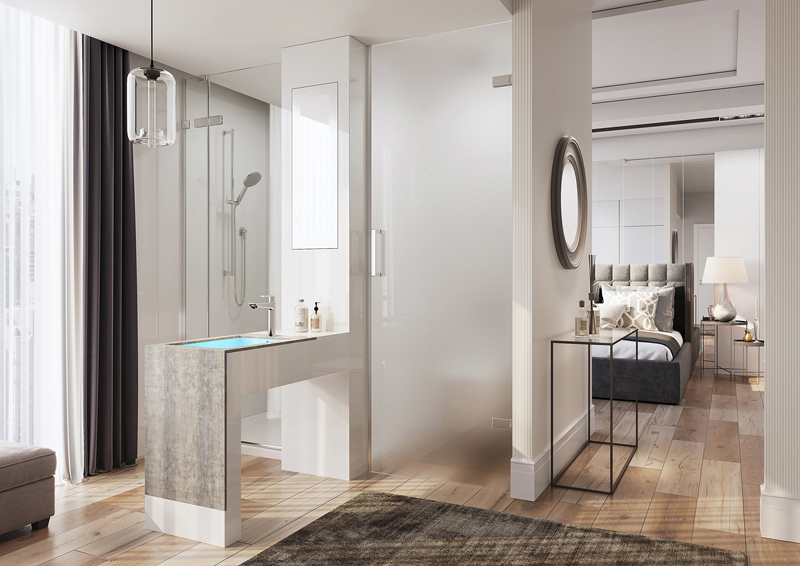 The idea of the room sets is that they will each showcase a real hotel bathroom specification, each presenting distinctive showering solutions with integrated solid surface Corian fabrication. The shower enclosures on our stand will be from our Liberty collection of 8mm and 10mm frameless enclosures, demonstrating their silicone free installation with hydro-active tape system. Sleep & Eat is a major event our calendar and we look forward to it every year as it is the ultimate platform to present our latest products and capabilities to the international hotel audience.